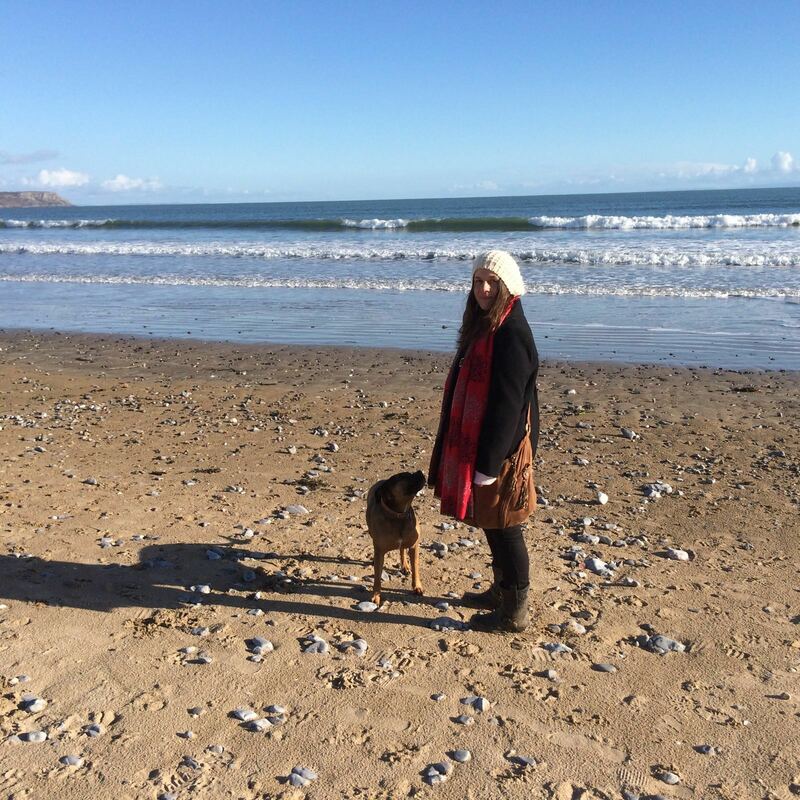 Introducing our Barry and Penarth Dog Walking Team! dog walking team. Our dog walkers and pet sitters are now able to provide dog walking and pet care services in Penarth, Barry, Dinas Powys, Sully, Llandough and the surrounding areas. Our small team of fantastic pet carers are managed by the wonderful Catherine. 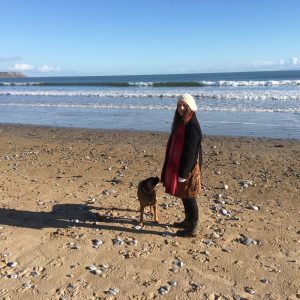 Catherine lives locally and, as well as being a busy mum of two young children, has her own lovely rescue dog Tess who is frequently seen out assisting Catherine with her dog walking services. Our Dog Walkers and Pet Sitters in Penarth, Dinas Powys, Barry and the Vale are able to provide a wide range of pet sitting services from a dog walking service tailored to your dog’s requirements, doggy day care, dog holiday care, cat sitting and small pet boarding, as well as a variety of options for house sitting. · Do not arrive in marked vehicles announcing your empty home. · Are able to provide references. · Undergo our pet sitter award scheme including training in dog behaviour, nutrition, health and disease and much much more! · From summer 2017 all pet carer will undergo pet first aid training. Our team over a tailor made service to suit your pets needs rather than you having to fit with us. For all dog walking and pet sitting enquiries in Barry, Penarth, Dinas Powys and the surrounding areas of the Vale of Glamorgan please contact Catherine on barry@friendsforpets.co.uk or 07502 316670. This entry was posted in Uncategorized on February 21, 2017 by james@friendsforpets.co.uk. What dog breeds are susceptible to what health conditions? For us as Dog Walkers and Pet Carers it is really important to know what breeds are more susceptible to certain conditions. Some have known genetic links, other conditions are just found to occur more frequently in certain breeds. Below discusses some breeds and some common conditions found within them (this list is only a guide and of course not every dog of that breed type will have this condition. Always get a Veterinary Professional to examine your dog if you are in doubt over any health issue). Husky – With their thick coats small skin problems can sometimes be missed leading to larger sores on their skin and hair loss in the affected areas. Eye problems such as glaucoma and cataracts can be common in older dogs as well. These can usually be helped with veterinary intervention. Bull dog – With very pure breeding lines, certain features of dogs have become more pronounced. These smaller dogs with flatter faces, small nostrils and narrower internal respiratory structures can develop breathing difficulties particularly suffering in very hot weather as panting and an increased respiratory rate is used to cool the body. If the dog is physically unable to pant then they can become overheated and overtired leading to potentially life threatening problems. Pug – With their flatter faces and bulgy eyes, Pugs can suffer from a condition where their eyes can pop out of their socket ie. When rough playing with another dog. If this occurs then cover the eye with a damp cloth and get them to the vet asap! German Shepherd – Again with very pure breeding lines sometimes the ball and socket joint of the hips don’t fit together properly. This can lead to pain, arthritis and problems walking. In German Shepherds this can be screened for as there has been a genetic link determined. Labrador- With their kind nature, persuasive eyes and ‘always hungry’ personality, labradors can easily become overweight so they need lots of exercise and healthy snacks such as raw carrots or apples. Beagle – Epilepsy and fitting as been shown to occur more frequently in beagles than other breeds. Boxer – Have been shown to have a slightly higher risk for certain types of cancer ie lymphoma and mast cell tumours (skin cancer) which can cause secondary cancers in internal organs. However both types are treatable if caught early and the dog is otherwise healthy. Dachshund – With their long bodies they run the risk of back injuries and spinal disk problems. Limiting jumping up and down on things and keeping at a healthy weight will help prevent injuries. Doberman – Occasionally the chambers of the heart are bigger due to the cardiac muscle being stretched out and therefore not being able to pump blood as effectively. Due to the known genetic link, screening and medication can help regulate the heart’s rhythm in known sufferers. Cocker Spaniel – With their ear shape and that they are hairy, this can lead to ear infections. Prevention can be helped with regular cleaning and allowing the air to circulate around the inside of the ear as much as possible. Ask a veterinary professional for advice relating to your specific dog. Rottweiler – and other large breeds are at risk of joint problems as they are fast growing puppies and sometimes their joints to fully finish developing until they are around 18 months old. Being very careful with the amount of exercise, surfaces they are exercised on and maintaining a healthy diet can all help joints develop correctly. German Shorthaired Pointer – Can suffer from a heart condition caused by the narrowing of the main blood vessel from the heart causing strain on the heart as it struggles to pump enough blood around the body. This can be quite common in other larger dog breeds too. Maltese – can suffer with tremors caused by inflammation of the cerebellum (the part of the brain that helps with movement). The tremors can be helped with corticosteroids. This entry was posted in Uncategorized on February 6, 2017 by james@friendsforpets.co.uk.